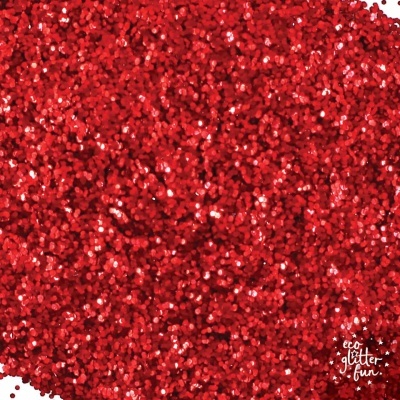 Biodegradable glitter 3 pack gift set. This kit comes in a recycled cardboard box and includes 3 x 3.5g of biodegradable glitter, organic aloe vera gel and a bamboo brush to apply the sparkles. The colours are - Gold, Green and Red. 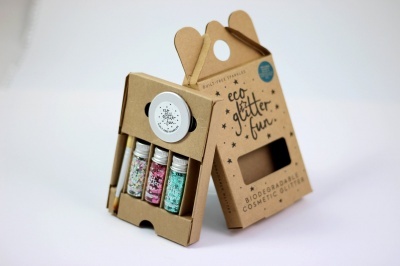 Biodegradable glitter 3 pack gift set. This kit comes in a recycled cardboard box and includes 3 x 3.5g of biodegradable glitter, organic aloe vera gel and a bamboo brush to apply the sparkles. 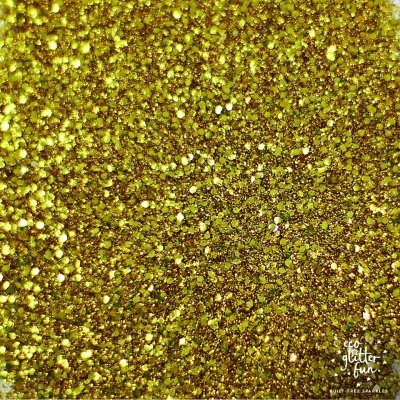 This biodegradable glitter is made of cellulose film (mostly eucalyptus trees) from sustainably sourced FSC plantation. 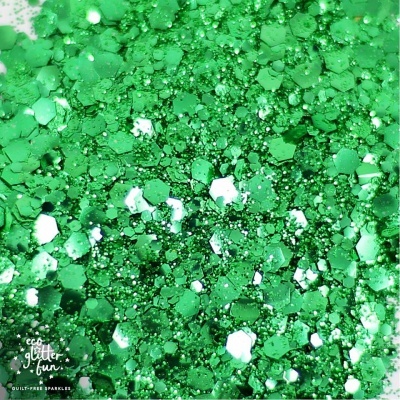 It is certified compostable, premium grade cosmetic glitter, suitable for use on the face, body and hair. It can also be used in craft projects. Marine and wastewater safe. Vegan and not tested on animals. Made in the UK. It's non-toxic, free of heavy metals and approved for cosmetic use. The film is sustainably sourced, there are no genetically modified materials or materials obtained from genetically modified organisms. Suitable for and not limited to face, body and hair application, soap and candle making, arts & crafts.